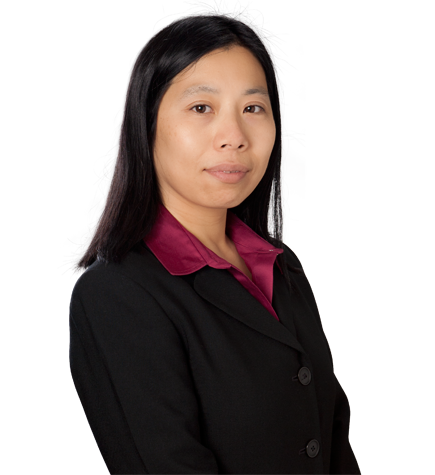 H. Annita Zhong focuses her practice on patent litigation and licensing, with experience litigating patent-related cases before numerous federal and state courts, the International Trade Commission (ITC), arbitral panels and the Patent Trial and Appeal Board (PTAB). She also regularly provides counseling regarding the exploration of patent portfolios. Annita has experience with a broad spectrum of technologies, including semiconductor fabrication and packaging, computer architecture, telecommunication hardware, digital signal processing, wireless communication, chemistry and materials. While in law school, Annita served as a student director of the Community and Economic Development Legal Clinic (CED Clinic) and was a runner-up in the 2008-2009 Chubb Competition for excellence in legal draftsmanship. She also helped a local nonprofit organization refinance a multimillion-dollar commercial mortgage at the height of the financial crisis and won a summary dismissal from a Connecticut state action for the same client. Currently, she serves on the planning committee for the USC Gould Law School of Law’s Intellectual Property Institute. After receiving her Ph.D. from California Institute of Technology and before attending law school, Annita worked as a senior research scientist in the areas of catalysis, semiconductor packaging and bio-imaging at General Electric Company's Global Research Center in Niskayuna, New York. She is a co-author and co-inventor on peer-reviewed journal articles and issued patents. Annita is a native speaker of Chinese (Mandarin). Fundamental Innovation Systems International LLC v. Samsung (E.D.Tex.). Served as counsel to Fundamental Innovation Systems International LLC in a 10-patent infringement suit on USB charging technology patented by Blackberry. Served as lead counsel on 29 related IPR proceedings filed by Samsung and defendants in other related infringement actions. Also consulted in the parallel German enforcement and nullity proceedings as well as European oppositions. Settled actions against Samsung favorably. Amkor Technology v. Tessera (I.C.C., PTAB, Cal. Sup. Ct., D. Del., Cal. Ct. App.). Served as counsel to Tessera in a dispute over royalty payments due under a license to semiconductor packaging technology, which involved arbitration before a panel constituted under the rules of the International Chamber of Commerce. Also successfully defended a key patent in an inter partes review (IPR), which resulted in upholding of major claims subject to the review and defeated efforts to vacate and modify the panel's awards in state and federal courts. Amkor Technology v. Synaptics (D. Del., PTAB). Defended Synaptics on allegations of patent infringement, trade secret misappropriation and other related claims. Served as lead counsel on the associated IPR proceedings. After the court dismissed a number of claims and stayed the infringement proceeding pending the outcome of IPRs, the plaintiff sought multiple extensions for petitioner's replies in the IPR proceedings and settled the case on eve of the deadline. Constellation Technologies, Inc. v. Time Warner Cable, Cisco Systems et al. (E.D.Tex., D. Del., PTAB). Served as counsel to Constellation Technologies in multiple infringement and declaratory relief civil actions and IPR proceedings involving telecommunications and cable service inventions patented by Nortel Networks. Also served as lead counsel and prevailed in defending multiple IPRs of patents in suit. Intellectual Ventures v. Hynix, Elpida et al. (ITC). Served as counsel to Intellectual Ventures in a § 337 investigation involving five patents asserted against DRAM and NAND memory devices and products containing the same. The client settled the case on favorable terms on eve of hearing. Wisconsin Alumni Research Foundation v. Apple (PTAB). Successfully defended a patent, directed to memory disambiguation technologies developed at the University of Wisconsin, before the PTAB. The PTAB declined to institute review based on detailed documentary evidence submitted by WARF. Brocade v. A10 (N.D.Cal., Fed. Cir.). Brought onto the case as counsel to A10 after trial and substantially involved in post-trial motions and Federal Circuit appeal on injunction. The parties settled on eve of damages retrial. California Institute of Technology (Ph.D., Inorganic Chemistry, 2001); Thesis: "Ancillary Ligand Effects: from Zironium (IV)-Catalyzed Homogeneous Propylene Polymerization to Platinum (II)-Mediated C-H Bond Activation"